I recently watched Chitty Chitty Bang Bang (one of my absolute faves) and remembered why it is so magical. “Fantasmagorical” is exactly RIGHT! It also got me thinking about G.K. Chesterton (I like to call him GK or Gilbert) because I finished Orthodoxy not too long ago and it’s been on my mind ever since. In the book, he essentially debunks the current philosophies contrary to Christianity, but he takes a very charming and unorthodox route – by way of his own story. I am the absolute worst summarize-r, so I am just going to give you a few nuggets (as my friend Becca would say). Chesterton compares the tales of the childhood nursery with the mature practicality we are expected to grow into as we age. This world (we are taught) is a place where pigs can’t fly, pumpkins are never carriages, and grass is the color green. These things are true because they just are and we must believe them because not believing them would not make them any less true. I agree with Chesterton when he says this mature practicality is unbelievably boring and I simply refuse to grow into it. Sure, the grass is green. Sure, the fact that it is green is explainable by pages of science and double-checked research. Magic has no place in reality, you say (followed by “you poor, ignorant fool” under your breath). Chesterton was observing that people were taking this “reason” and applying it to all things in the natural world as if they were “rational and inevitable.” How dreadful – that everything would have a perfectly good explanation! GK goes on to explain how imagination helps us marvel at all the pieces that don’t fit together – everything is not here by some rational calculation. The grass is green, but it could have been PINK or blue for that matter. Things (material and otherwise) are as they are, but it could have turned out in a zillion different ways. Who are we to say that when we cut a tree it has to fall? God could have chosen to make it float or melt or disappear. But, if your imagination is rusty enough that you can’t picture purple grass, I’d challenge you to a duel. I would say you can bring your reason and I’ll bring my imagination and we’ll see who is standing at the end of a little tussle. Or maybe I should say, we’ll see who is smiling. I don’t know… it’s just these things I’m thinking about on a Sunday afternoon. I’m loving the grass not because it had to be green, but because it could be so many other colors. This entry was posted in books and films and articles, Philosophy and Religion, theology and philosophy, Thoughts. Tagged Chitty Chitty Bang Bang, Christianity, G.K. Chesterton, Orthodoxy. If you believe all this and want society and Christianity to work with it, I hope with all my heart that you are good and honourable and that you also challenge and work for the dismantling of the psychiatric system and its rigid application of truth and reality and a person’s perception of it. As to what is dangerous, I suppose that has to be in the same realm as what if the grass were pink? What if destroying a life were not dangerous? What if having bad people use this kind of flexibility towards reality as a form of stalking and harassment and interrogation and mind-control were not dangerous? Are you also advocating hallucinatory states brought on by drugs? Like LSD, which is what this seems to belong to. Could LSD ever be good, or is it only the illegal sources which make a possibility of a ‘bad trip’ potentially ending in death? 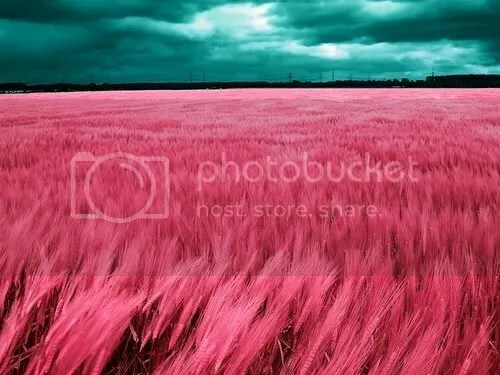 By genetic modification and cross-pollination I suppose grass COULD be pink, if some isn’t already. An orange could be purple, a banana could be red. Would they still be the same object? How far can this flux thing really safely go? Further than I think, or not as far as YOU think? I, for one, really want to know. If it is all just about words and definitions and we would be better free from them, then of course I would be all for it. Thanks so much for your thoughtful comment! I guess my post didn’t appear as clear on my blog as it did in my head. I’m not advocating hallucinations or drugs or an overhaul of the psychiatric system. Maybe it would be more clear if you skimmed some of Chesterton’s writings to see where he is coming from. The idea is to make good use of our imaginations and appreciate that the world could be very different than it appears, but God has specifically and economically chosen what does appear. This link should give you the full excerpt from the book. Let me know what you think. & power over your gaming.